in Parliament. For lasting peace and stability, the ruling National League for Democracy has to also secure the participation and cooperation of ethnic minorities in the country. In this quarterly (Vol 29, No. 2), we look at how the key players have lined up their alliances in the new era; how the new government’s economic and social welfare strategies reflect the departing junta’s inequitable and ecologically-unsustainable development policies; the psychological impact of the dictatorship on nation’s psyche; and the human rights violations that continue against the Rohingya. No doubt Myanmar faces many grave challenges during this sensitive period of transition but this moment also holds an opportunity – the prospect of moving forward towards social justice, not just for its own peoples but the region. 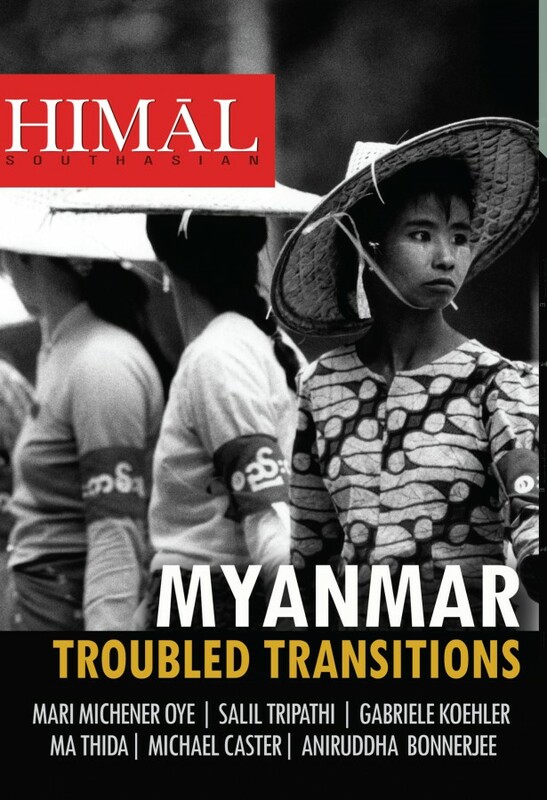 Himal Southasian Editors on why they chose to use ‘Myanmar’ instead of ‘Burma’ and a peek into the issue. While many find the attitude within Myanmar towards the Rohingya puzzling, writer Ma Thida explains how decades of dictatorship has affected the psyche of a nation. Becoming ‘fierce’ about one’s own well-being is a reaction to living under an oppressive regime, she writes. Ma Thida, who was sentenced to 20 years in prison because of her activism and released only because of international pressure after six years, writes eloquently of the lack of coping mechanisms. Not only is there repressed anger and continuing fear, but, after living under oppressive conditions for over 60 years, people don’t know how to express either. Initial proposals of economic development appear to focus on a centre-first approach that gives primacy to the Barman areas, writes Mari Michener Oye. All parties use the term ‘federal’, she says, but do not agree on what it means – a challenge for Panglong 2, which seeks to arrive at a new federal compact. On Myanmar’s challenges to restore peace, Yola Verbruggen states that while some of the armed groups have long been a law unto themselves, enforcing resource extraction against the wishes of the local populations that they claim to represent, others have provided health, education and electricity to the local communities. Any peace initiative will also have to take into account the armed militias supported by Myanmar’s military some of which have morphed into drug cartels, a legacy that dates back to the Cold War, she argues. The hostility towards the Rohingya and Suu Kyi’s studied refusal to speak up for them, is, Salil Tripathi reports, perplexing. Documenting the wretched condition of the “unwanted, uncounted and disenfranchised” in the refugee camps, Tripathi, who has travelled to both Myanmar and Bangladesh, points out how neither country wants them. Though the debate around the Rohingya often appears completely polarising, Michael Caster points out how the two narratives are reconcilable. The Rohingya are a community with historical presence in Myanmar, recorded by the Scottish traveler, Francis Buchanan, as early as 1799. However, population flows continued over several centuries over fluid territorial borders in the years before colonisation. Regardless of how different groups of the Rohingya trace their antecedents, Caster argues that Myanmar is currently in violation of international jurisprudence. The development approach of the past government was inequitable and unsustainable. The new NLD government seems reluctant to depart from the neoliberal economic model it inherited, write Gabriele Koehler and Aniruddha Bonnerjee. The highly-polluting lignite variety of coal is one of the many minerals mined in Myanmar. Notwithstanding public protests over the environmental damage caused by existing mines, coal has been promoted as a source for meeting the country’s energy requirements, expected to grow exponentially with increased investment in industry and domestic electrification. Edith Mirante questions the sustainability of a coal-dependent energy plan. Myanmar’s neighbours will continue to play a considerable role in its economic development. China, writes, Pradip Phanjoubam, has already developed the Mekong region as an economic unit while India is yet to act upon its ‘Act East’ policy. The hard, precise political boundaries of nation-states have interrupted the natural economic regions and developing these could supersede the obsession with political boundaries and closed ethnic identities. While Phanjoubam terms this possibility a welcome miracle, such hope is not wildly unrealistic. Reclaiming space is difficult since, as photographer Nic Dunlop writes, “The junta’s hold on the population was a complex mixture of coercion and collaboration. There was no need to have soldiers on the street; people policed themselves.” Apart from close family members, anyone could have been an informer. The transition to parliamentary democracy over the past five years has been long in coming, but the final transformation was quick, given the six decades of authoritarian rule. Restoring the trust that is the basis for a social compact will be a longer, perhaps even more difficult journey. Print quarterlies will be shipped to bookstores and subscribers. 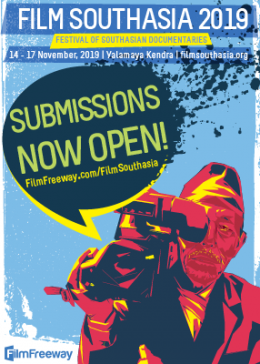 Subscribe to Himal Southasian here. To purchase the print or digital edition of the Myanmar issue, click here. Do check this page (and our Facebook and Twitter profiles) to get the latest updates!